Ideal if you use various social networks every day. Or if you actively use your smartphone’s capability of uploading photos or videos to Instagram, Flickr or YouTube. Most likely, you like to be in the know about various news and world events, and receive information most frequently on your phone. With a ZZ 2 GB data plan, there’s no need to worry even if you occasionally need to use your phone to connect your laptop to the internet! You can use mobile internet in Latvia and throughout Europe if you use the tariff plans ZZ Eiropa and Charge per Units. To find out what tariff you use and the data volume available to you, text T to 1616. Consumed data volume increment: 1 B. 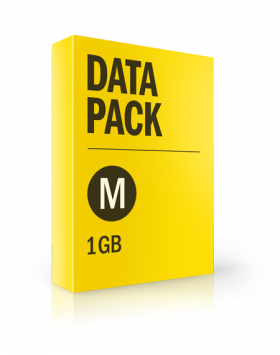 These data packs are not available to ZZ Mobile internet for computer users. If you switch to another tariff plan, your connected data pack will be saved. In order to use mobile internet, you need a phone that provides GPRS or 3G data transmission, and the phone, in turn, must have its settings configured. Internet settings are pre-installed in the majority of phones. The simplest way to receive settings is to text G to 8888. You will find more detailed information about configuration parameters and process in your phone’s usage instructions, the manufacturer’s homepage or by calling our 24 hour information service 1676. Charge per call € 0,13. * The average data transmission speed, when users are not in motion and serving base station is loaded normaly.